Using disposable wipes of moisture absorbing material has become an obligatory condition of high quality and comfortable work of a modern professional in the beauty industry. Etto TM wipes are applied in most cosmetic procedures, manicure, pedicur, body cleaning from cosmetic preparations, for hygieneic purposes. They are made of soft lint-free material of natural ingredients and have high moisture absorbing capacity, easily draped, comfortable in use, help keep cleanness and safety. They are made in a wide size and price range that allows selecting the best option for each master. Cross-lapping is a breakthrough in the cosmetology world. Fibers in Etto wipes are perpendecular to each other. This is what provides unmatched strength of the material. 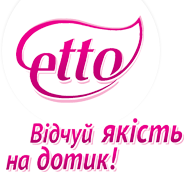 Etto wipes do not stretch, do not lose their shape, which is important for most cosmetic procedures. High density of the material provides with optimum absorbent properties. Etto wipes instantly absorb most moisture. Try to compare it yourself to see this. Etto wipes combine high strength and density, at the same time they ensure free air circulation without disturbing oxygen to get to the skin. Etto wipes are made of natural ingredients and do not leave lint on a wet body. Etto wipes are hygienic and hypoallergenic for all skin types.